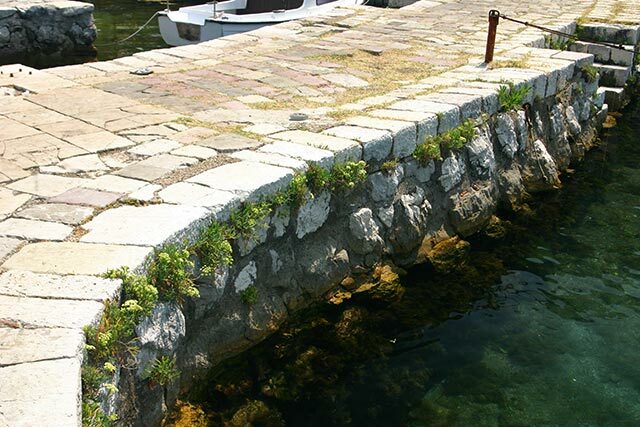 A small, peaceful place in the Boka Kotorska bay famous for its interference of mountain and sea winds mixed with 548 types of herbs that are suitable for lung diseases, particularly in the late spring and early autumn. Small fisherman’s settlement from XIV century remained preserved over the centuries. Donji Stoliv is located at the very sea shore. The pebble road will take you to Gornji Stoliv through the woods and olive groves. 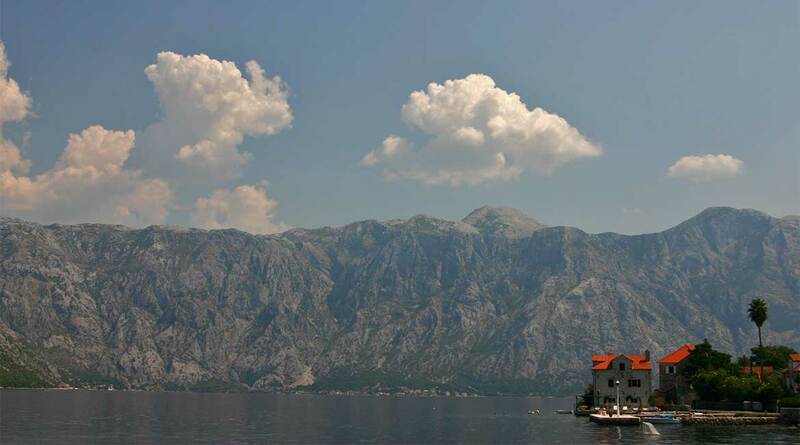 A fantastic view over the entire Boka Kotorska will burst before you up there. Gornji and Donji Stoliv have around 500 inhabitants. The first camellia from Japan was brought by the Stoliv seamen in XVIII century. “Days of Cammellia” have been organized in the springtime ever since. Small Stoliv located nicely in the middle of the towns of Kotor and Tivat if one takes the old route along the sea, has not experienced tourist growth of the other fishing villages that lies near these cities. It does not have any beaches itself so all sunbathing has to be done on the pontoons. But what it does have is therefore favorable location and the greater peace that prevails. There are therefore no bigger accommodations, and people rely mainly on apartments. The accommodation in Morinj is located entirely in the lower part at the sea of Donji Morinj. Apartment MiraMare – This property is 1 minute walk from the beach. Sitting on the waterfront and just footsteps away from the beach, Apartment MiraMare offers self-catering options in the Bay of Kotor, a UNESCO site. Free WiFi and bicycles are available. Each apartment is equipped with modern technology and will provide you with a TV and air conditioning. There is a full kitchen with a dishwasher and a microwave. Featuring a bidet, the bathroom also comes with a rain shower and hairdryer. At Apartment MiraMare you can enjoy the private patio and barbecue facilities. Grocery delivery is offered. Activities in the surrounding area include cycling, fishing and snorkelling. The property offers free parking. 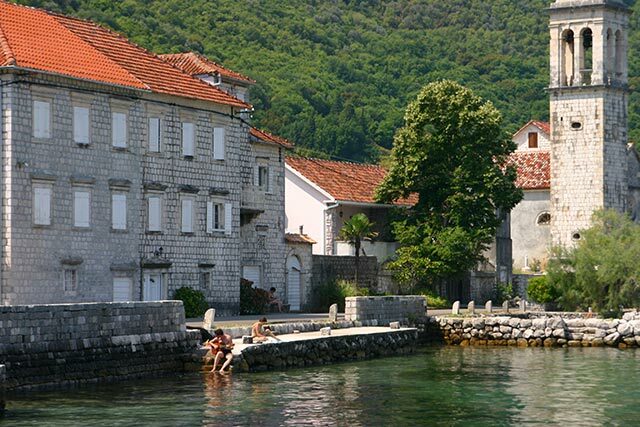 The old town of Perast is across the bay and can be reached within 25-minutes by car. Facilities : Outdoor furniture, Beachfront, Sun terrace, Private beach area, BBQ facilities, Garden, Sun loungers or beach chairs, Bikes available (free), Car hire, Safety deposit box, Water sport facilities (on site). Cattaroom Apartments – Situated in Stoliv, Cattaroom Apartments provides an accommodation at the private beach area. Both WiFi and private parking are available free of charge. All units include an air conditioning, a flat-screen TV and a private bathroom with a shower. Some units feature a terrace with sea views and outdoor furniture. Guests can relax at the garden or enjoy a barbecue at the patio. Facilities : Free Wi-Fi, Free parking, Pets allowed, Beachfront, Sun terrace, Private beach area, BBQ facilities, Garden, Airport shuttle (additional charge), Car hire, Bicycle rental (additional charge), Express check-in/check-out, Luggage storage, Concierge service, Ironing service, Outdoor furniture.